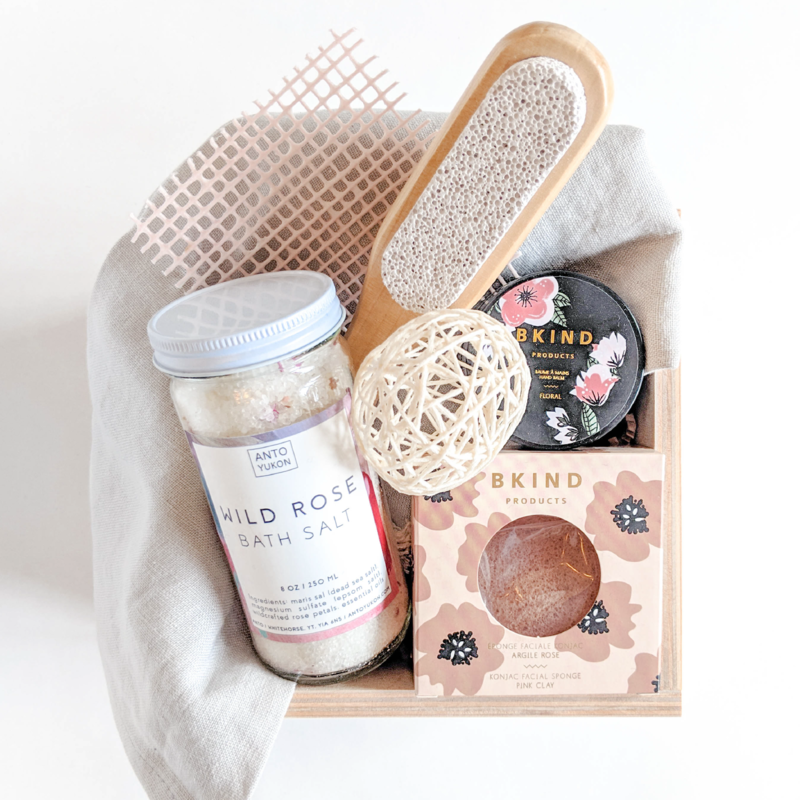 EW.WE.ME gift boxes offer a modern aesthetic of gathered Canadian goods carefully assembled in a keepsake wooden box for life’s many moments. 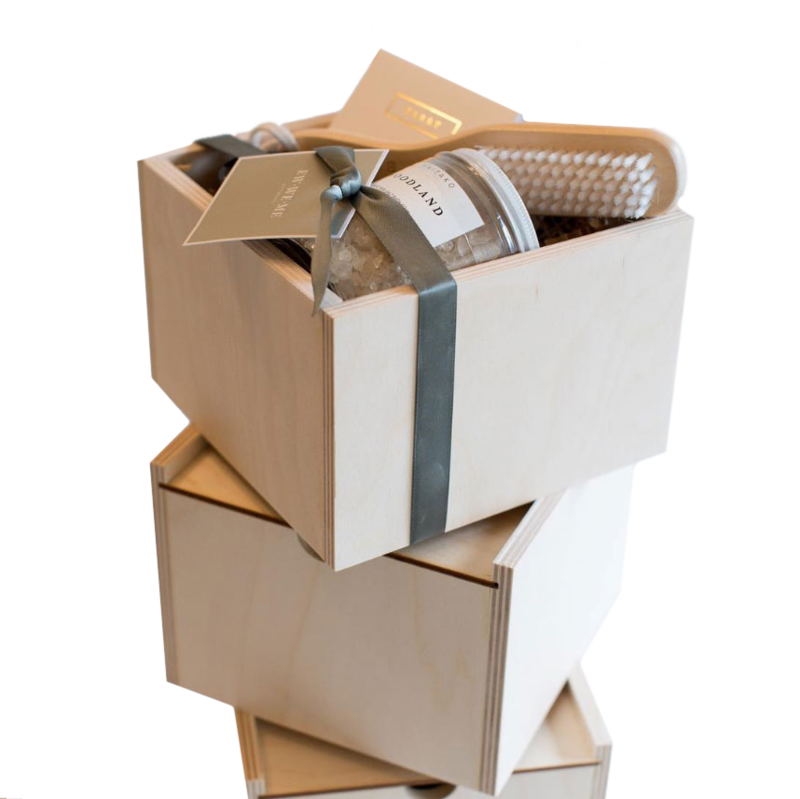 Each EW.WE.ME gift box brings together a collection of Canadian made or designed products handcrafted by makers from coast to coast. 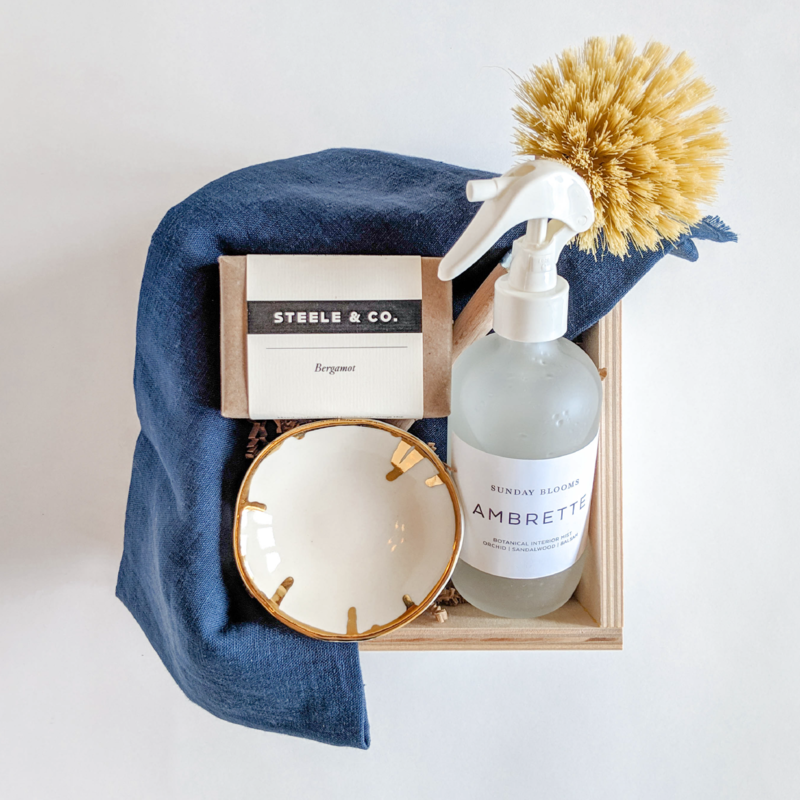 Choose from our pre-curated collections or add a personal touch by hand picking your own collection based on existing products from any of our makers. When complete, your gift box is hand assembled, addressed and delivered right where you need it (at home or at the office). Our gift boxes allow you to connect and spread your joy with others. Once delivered, your act of kindness lives on as a percentage of each gift box sold will be donated to a local charity, continuing the act of giving. Impress colleagues, clients and guests with our all Canadian lineup of products, hand crafted in a wooden gift box. Together, let’s work to make a lasting impression. 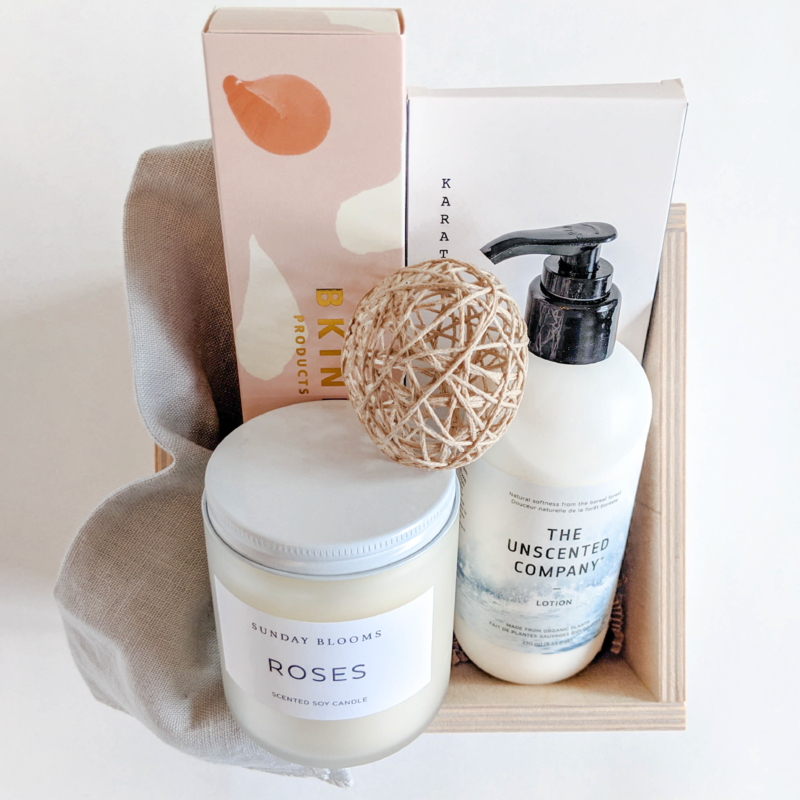 EW.WE.ME GIFT BOXES was founded on a love of exploring local markets, seeking and finding the right gift for friends and family and the best part, packaging it all up with just the right amount of detail. With EW.WE.ME gift boxes I now get to share in all of these experiences with you. The name EW.WE.ME is inspired by my son’s names Ewan & Weston which also symbolizes the act of gift giving between you (EW), WE & ME. 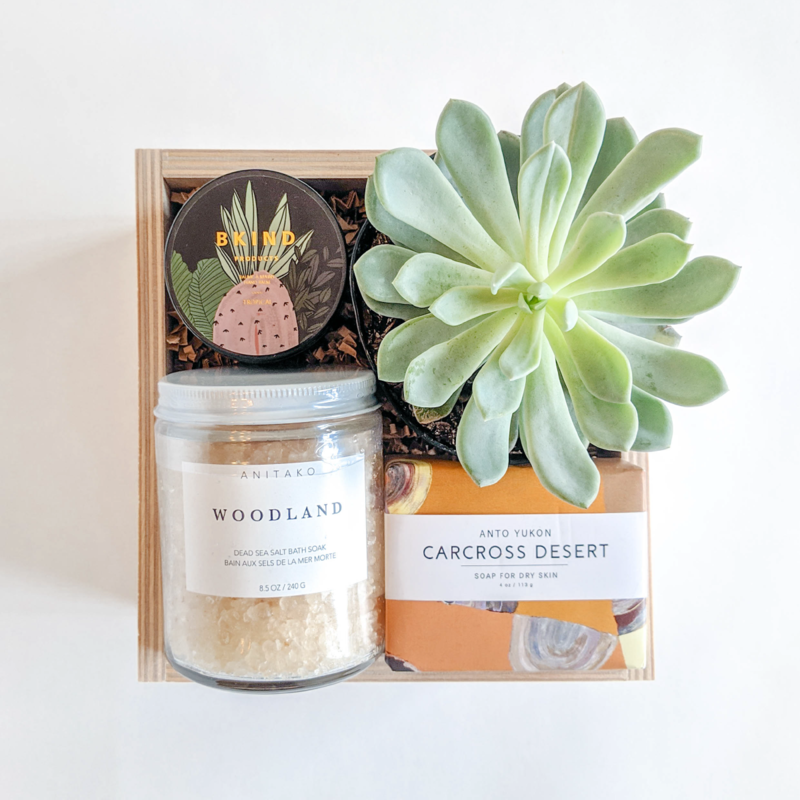 Each gift box is hand assembled and prepared by me (Candice) and contains products made or designed by Canadian makers from across the country. 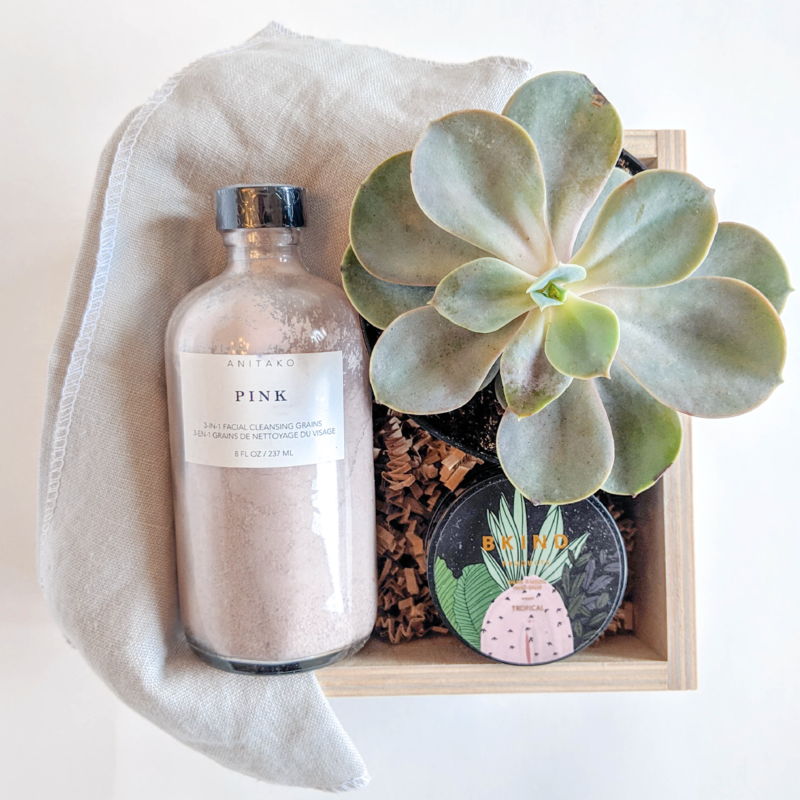 Each product is purposefully curated for life’s many moments, helping you spread your joy and happiness to those around you. Once delivered, your act of kindness lives on as a percentage of each gift box sold will be donated to a local charity, continuing the act of giving. Thank you for subscribing! Your email address has been successfully submitted! Copyright © 2019 EW WE ME Giftboxes. All rights reserved.